Modest In Dots LookBook! Modest Polka Dots & Neon Outfit! This weather has got me feeling in a fabulous chipper mood! 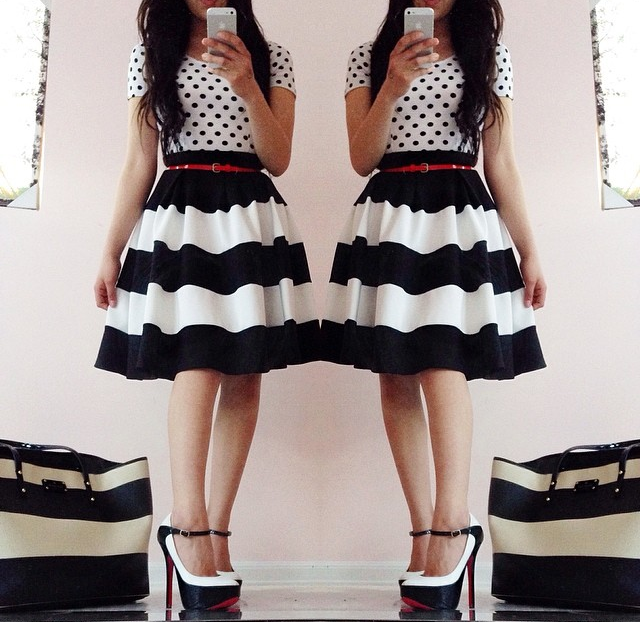 I recently went to my local thrift store and found the cutest black and white polka dot skirt!! Now I realize I do not need any more polka dot clothing items. (Seriously its gotten out of hand!) But I just couldn’t help myself!! So with that being said here is the ”Modest in Dots” LookBook! 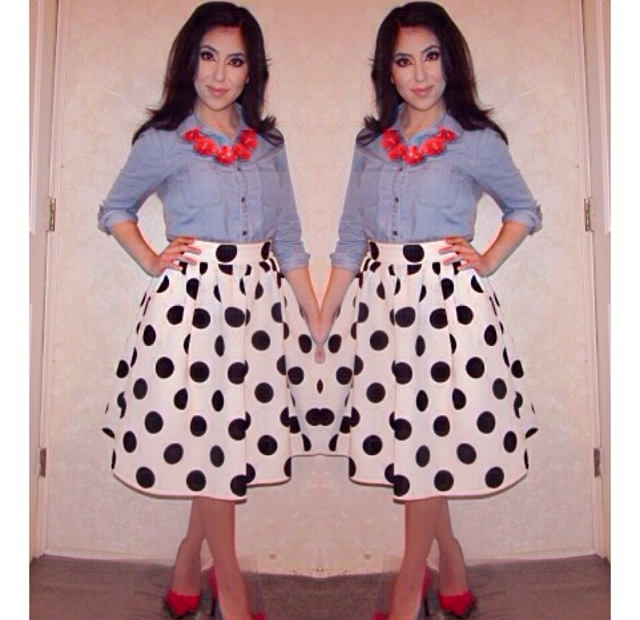 As I was searching through the skirts section I noticed this cute polka dot skirt and kept debating whether or not to purchase it! I literally went around the store putting it down and picking it back up over and over again! I just couldn’t resist the unique shape of this skirt. 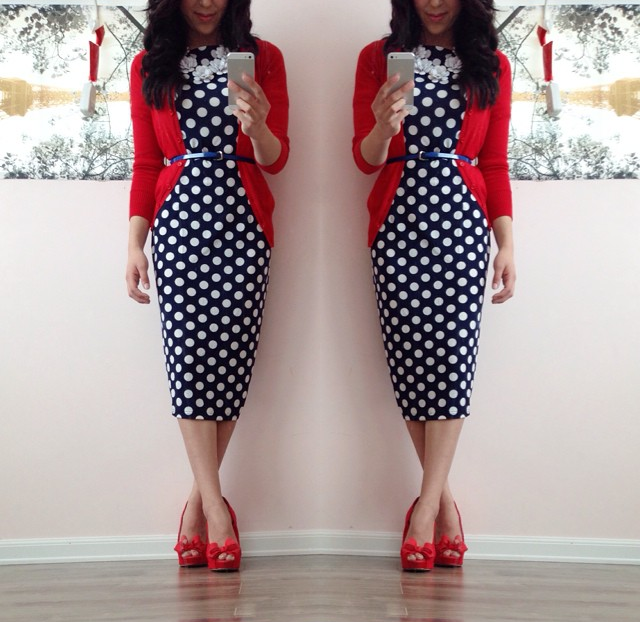 It’s not straight enough to be a pencil skirt but its also not a complete A-line style skirt. Oh and it has pockets!! There’s nothing better than skirts with pockets ladies! 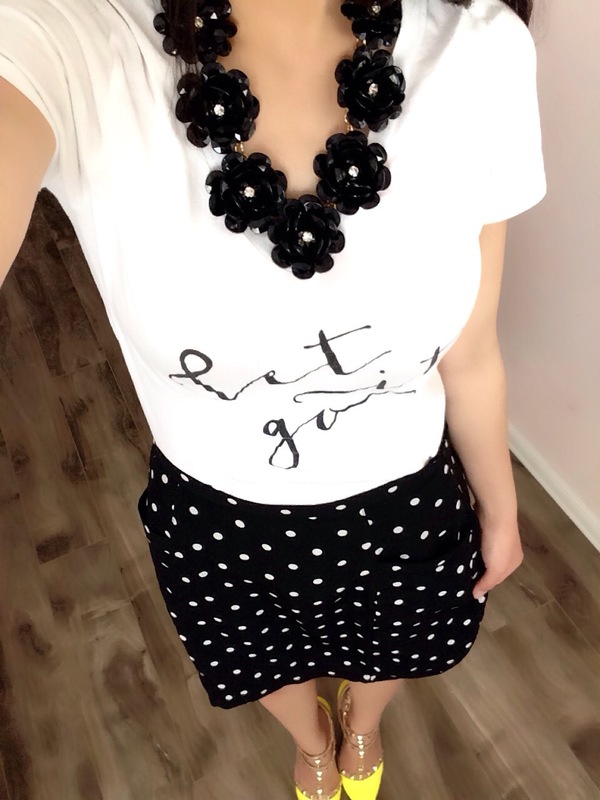 Before getting dressed I was already sporting my ”Let It Go” tee I purchased from Jane.com a couple of months back! As I was searching through my tops to see what would go best, I looked in the mirror and I was so visually pleased how my casual tee looked with the polka dots!! Not only was I EXTREMELY comfortable but I felt like I was put together! I love the classic pairing up black and white but I wanted to add a fun pop of color!! And what’s more fun than an uber bright neon studded pumps?!! Yes, meet the newest member of the rockstud family!! I actually bought these yesterday from Rue 21 at a steal!! They were having 50%OFF all clearance items!! They were on clearance for $24 plus 50%OFF that! I only paid $12 for these beauties!! 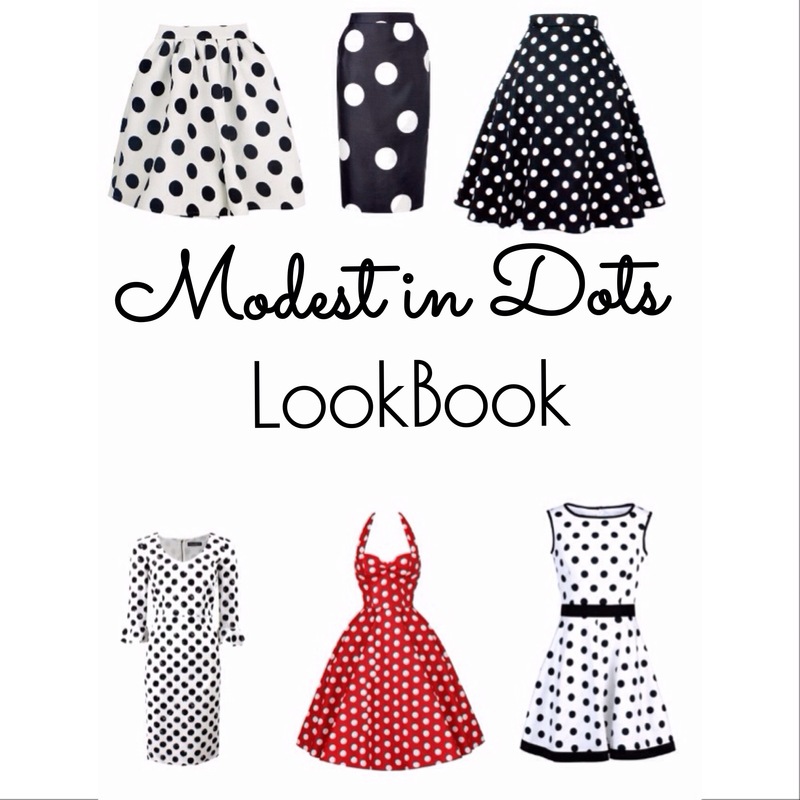 Since this is a look book I have included more modest polkadot outfits below! Happy Sunday ! Once again the struggle to wake up this morning was real. (My body refuses to wake up so early on the weekends). I wanted to do a causal laid back outfit but being the girly girl that I am does not allow me to do so,(seriously I wish I was joking). Black and gold is just one of my favorite combinations! I dunno, but something about black and gold together has this “Kardashian” expensive feel to it. I totally had forgotten about this gorgeous skirt just sitting in my drawer! I have a tendency to buy and just shove it in my drawer for months. 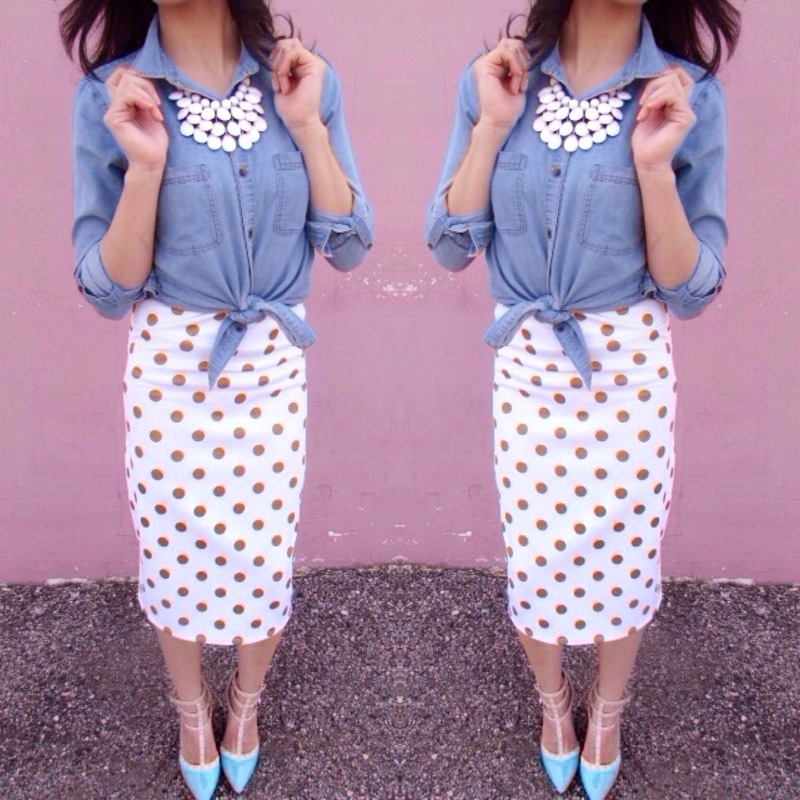 I had seen this skirt all over the internet and was determined to find where it was sold! Turns out that I finally found it on Amazon for a great price! Seriously this skirt looks like metal from afar but in reality it’s almost like crochet. The problem I had with this skirt was that although it was knee length the black slit underneath was really short! But that didn’t stop me from purchasing it! I’d figure I’d just pop my black lace skirt extender underneath it! It totally worked and looked like one full length slit.